Eucalyptus is a fabulous material to use in home decor. Not only is it beautiful but it is aromatic. 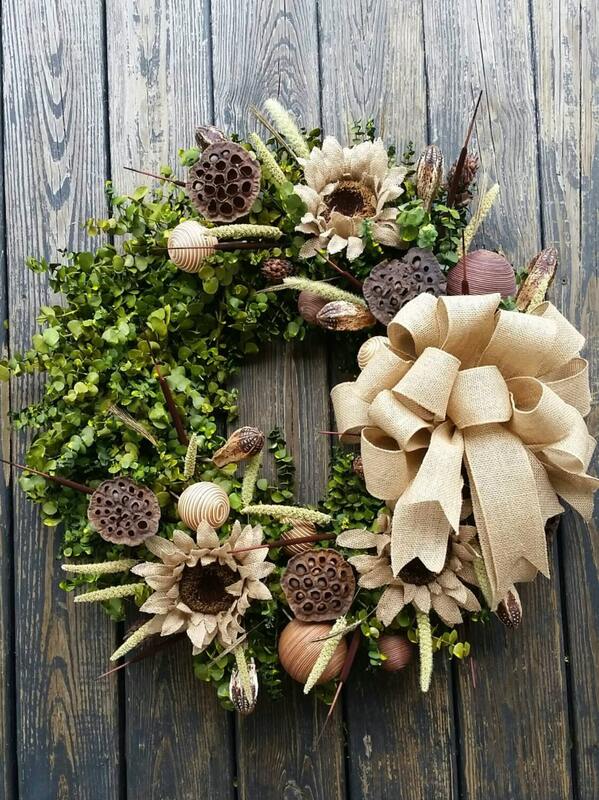 This dried flower wreath is made with all "natural" material. The base is olive green dyed eucalyptus. 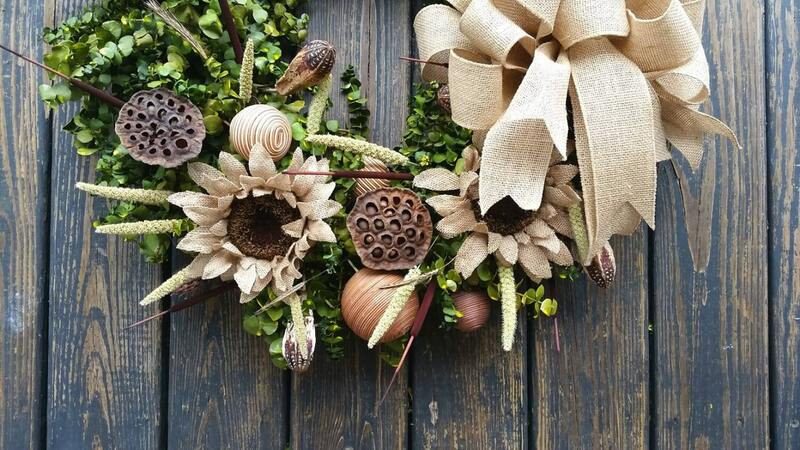 Burlap sunflowers are the perfect fall accent. The sunflowers are nestled amid wicker ball stems, lotus pods, mahogany pods, cat tails, millet, and wheat. 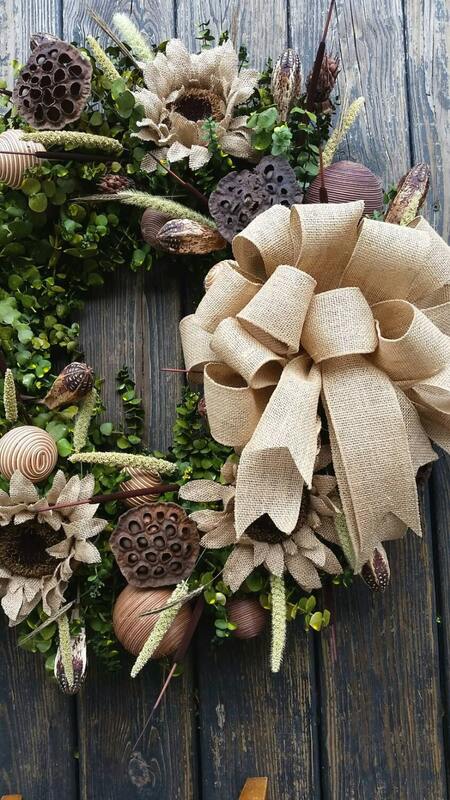 The natural jute burlap bow ties the entire wreath together, giving it a cottage feel. The wreath would be a wonderful addition to anyone's home decor! 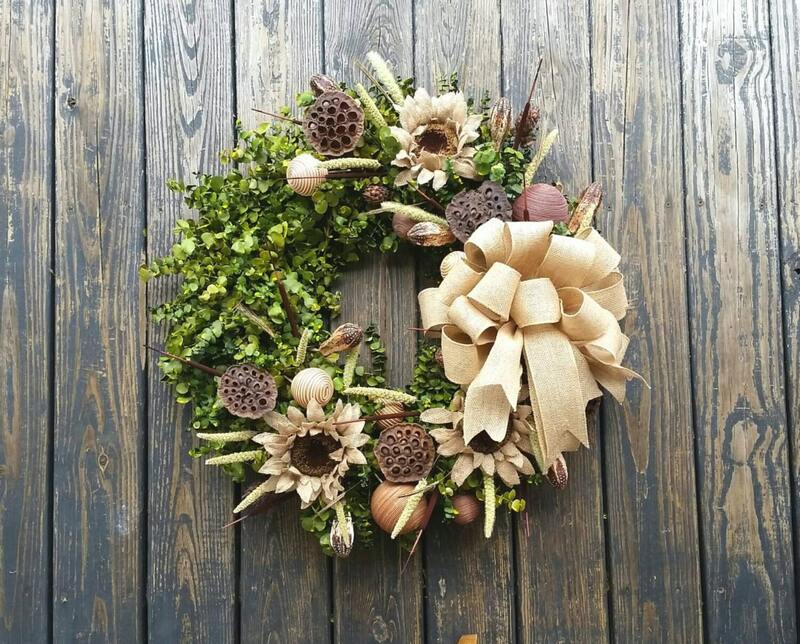 Because the materials are all natural and preserved floral stems the wreath should be displayed indoors, out of the elements. It means approximately 30 inches by 30 inches, tip to tip. A boxed wire frame was used as the wreath form.